Excellence in Construction award winners! The Excellence in Construction Awards celebration honors the nation's most innovative and high quality construction projects, safety programs and diversity programs. Awards were presented March 27, 2019 at the Long Beach Convention and Entertainment Center in Long Beach, California. 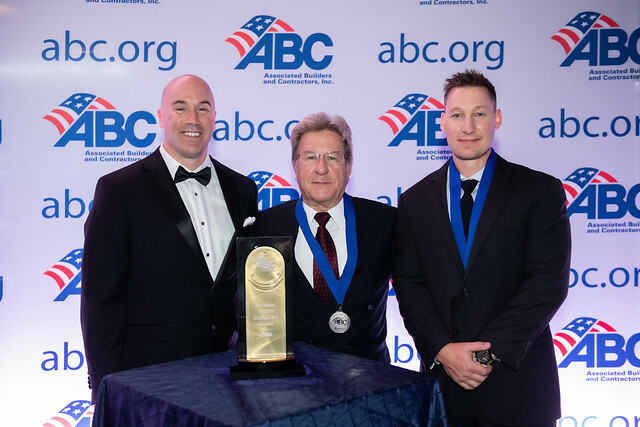 During the awards program, over 130 member companies from across the country were presented with awards for Excellence in Construction, Contractor of the Year, Safety, and Diversity. Award winners celebrated at a black tie optional dinner followed by an exclusive after party. To see a full list of winners, view the onsite program. Click here to see photos of the awards and email eic@abc.org to request an order form. Winners can now order logo’d apparel for their entire team through Aramark. Aramark offers exclusive savings for EIC winners and $5 flat rate shipping. Please email EIC@abc.org for a catalog and order form.